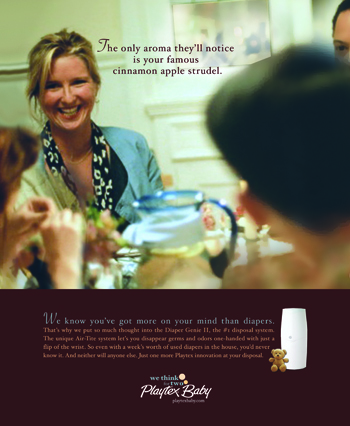 The only aroma they’ll notice is your famous cinnamon apple strudel. Playtex Baby. We think for two. It wasn’t the colicky baby that got you up at 2 a.m. It was the leftover tiramisu. 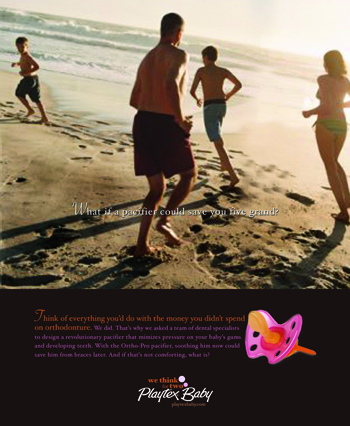 What if a pacifier could save you five grand?